Erbium laser resurfacing is designed to remove surface-level and moderately deep lines and wrinkles on the face, hands, neck, or chest. 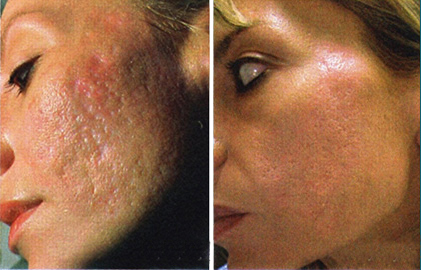 One of the benefits of erbium laser resurfacing is minimal burning of surrounding tissue. This laser causes fewer side effects — such as swelling, bruising, and redness. In some cases, recovery may only take one week. Ask your doctor how long recovery is likely to take for you. If you have a darker skin tone, erbium laser resurfacing may work better for you.